I am well please with my service.Never had a problem,always came out when I called,the guys are wonderful very helpful.Even when I call in to make a payment they are so nice and helpful.Good team. Excellent inspection, knowledge, and service for our pest needs. I would highly recommend DJ and his outstanding crew for all of your bug/spider/ant needs!! 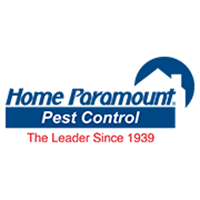 The staff from Home Paramount have been polite, supportive, and willing to answer any questions. They tailor-made the treatment to my home and we saw immediate results. Great team to work with. your Pest Control needs. Mount Carmel United Methodist Church in Reidsville, NC. Great service. Regular visits are effective and they are always glad to return to address any unexpected pests. Everyone is always so nice and happy to help you or answer any questions regarding service or accounts! If you need additional service quick and easy to return. The technician was courteous and efficient. He worked his way through the house and around the house and asked questions to be sure that no pests have been spotted. He called before arriving so we knew when he was coming. It was a pleasure to deal with him. David Agee and Harley have both gone out of their way to provide excellent service, from coming out multiple times to treat bugs, bees, ants and mice, and most recently, to paint and install a bat house to help extricate a bat from our home! he dos a good job. Great service and very helpful and informative. very satified this visit, it is working. thanks. Very friendly and responsive service. I have been very satisfied with the service I received. Very thorough. Very knowledgeable technician. Really appreciate the thorough service. Very happy with our service. Affordable for our non-profit organization and the technicians are always friendly and professional. Professional and friendly. Do excellent work. Your office staff, manager and technicians in the Kernersville, NC office are awesome. They just don't sell and service but EDUCATE, which is helps us so much as we are still fairly new to the area and the critters that live here. We have always had good results. Great job, keep it up. thanks. Our Home Paramount technician, Harley, is amazing. Is very helpful and thorough. Thank you!! Professional, courteous and friendly. As long that I'm in a house, Home PARAMOUNT is number 1! Come on time, friendly service. No mosquitoes in our yard thus far! Need to make sure we are getting the spider webs off the 1436 Sheffield road. and doing the bait boxes. Great folks to work with . blessings.